Among the games that released last year, Detroit: Become Human stood out not only for its narrative-driven experience that had players making tough decisions, but for its relatable characters that made its sci-fi-fueled story that much more compelling. 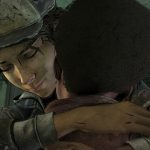 Through characters like Kara, Marcus, and Connor, players were driven through a story that highlighted what it means to really be human. 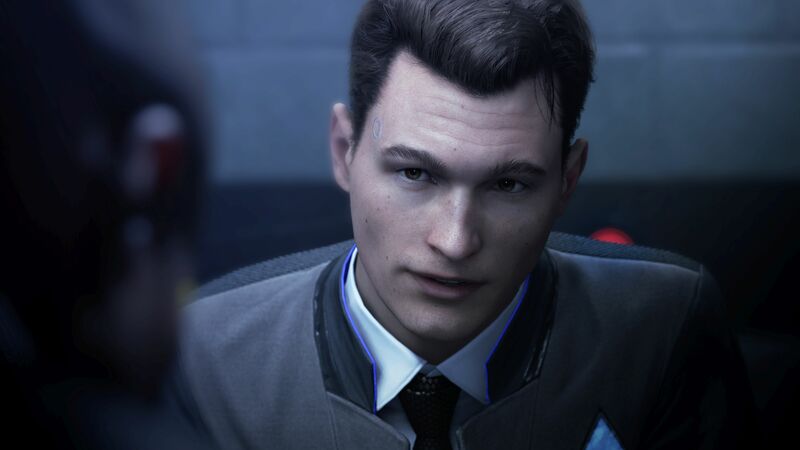 Connor in particular became a fan favorite for the conflicts that he faced between tracking down deviant androids on the side of the law, and growing more empathetic to the plight of other androids, which was made all the more relatable by the motion capture performance of actor Bryan Dechart. 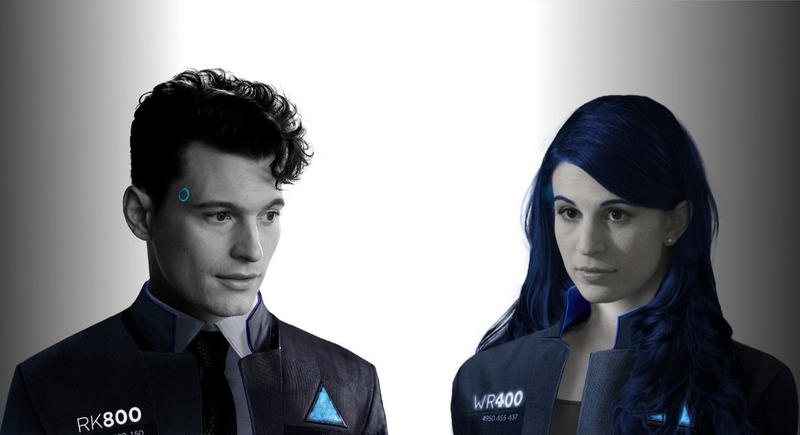 Since the game’s release last year where players were introduced to Connor, Bryan Dechart and his wife, Amelia Rose Blaire, have turned to streaming on Twitch with an ever-growing fan community, coined as the “#ConnorArmy.” After they started streaming last year around the time of Detroit‘s launch, Bryan and Amelia’s Twitch channel has grown to well over 265,000 subscribers (as of this writing), with their channel regularly hosting streams of recent games like God of War and Red Dead Redemption 2. 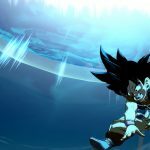 Aside from playing games, the couple has also shared a more eclectic mix of streams including fan art displays and their weekly “Curiosity Chill” streams revolving around science facts and knowledge. Outside of interacting with fans on Twitch in their streams, Bryan and Amelia have even taken their engagement with fans worldwide and have traveled to numerous countries for meetups, including Ukraine, Thailand, Switzerland, China, and Russia. As their channel has grown immensely over the past year, Bryan and Amelia are looking even more to build up a positive streaming community, including collaborations with other video game voice actors, new types of streams, and more. In an interview with DualShockers, we talked to Bryan and Amelia to learn a bit more about their growing community on Twitch, what it’s been like to go from starring in a game to playing them with fans, and some of the games that they’re most looking forward to streaming in 2019. Ryan: How did you first get started on Twitch, and what inspired you both to start streaming games together? 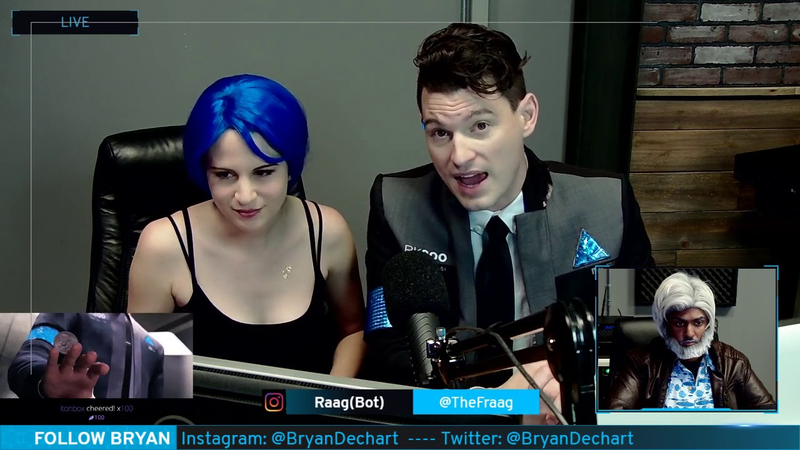 Bryan Dechart: So, for two-and-a-half years I worked on developing Connor [for Detroit: Become Human], where I was completely under an NDA and not able to talk about anything. I could only see little bits and pieces that Quantic Dream would release over time, and I think people were excited about it. But I wasn’t able to really say or do anything about it because it was this top-secret, undercover kind of thing. 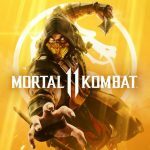 For me, it was mostly that I knew that I was going to play every inch of the game just out of my own fascination of “what is this thing we’ve been working on for two years?” I was able to go to E3 a couple of different times with the project, but it was all behind-closed-doors, media-only test previews of scenes from the game. And everywhere I was at E3 kind of “hiding,” I saw all this stuff about Twitch and I was learning about streaming. I was watching from the wings and like, “Wow, people are really engaged with video games being streamed online and building communities around the games.” And it occurred to me that people might be interested in the kind of “behind-the-scenes DVD commentary” to know a little bit more about what it was like to make a game like this. There’s a big difference between doing voiceover for a project and doing full performance capture, and that was something I wanted to share with people, about the technical process of making video games like this. My first stream was in April [last year]; I started streaming Heavy Rain just sort of as a test to see “how do I get my PlayStation to hook up to my computer, how do I upload something, how do I deal with the chat”: how do I deal with all this technically. When I started, I was kind of unsure how it would go to present myself. In a lot of ways, I think for actors–especially in video games–only if you’re a superfan of the game and you go to meet someone at a convention do you know as much about the actors in a video game as you might for actors in a film or a TV show. So I didn’t know what the reception was going to be; like, “Why is this actor stepping out of his actor box to be also streaming on Twitch?”But then when I started, I was met with just so much positivity, so many beautiful pieces of peoples’ artwork, and people were way more engaged in the “empathetic” playthrough of the game than the more “machine” playthrough, which was fascinating to me. I thought a fair amount of gamers would kind of “Solid Snake” their way through it, and then when I found all these people online with this super empathetic, loving, friendly community, it just kind of kept growing and growing. After we did our first playthrough and it went from like, “I don’t know, is this thing on?” to “WOAH! There are 16,000 people here for a livestream,” we just kind of kept going. The whole thing has been based off recommendations from the viewing community on Twitch and from other social media platforms. Basically, we’re just following their lead; so we’re just gonna continue doing that. R: Your channel is at over 260,000 subscribers now, which is crazy for streaming less than a year. Did you expect your Twitch channel to take off like that when you first started? BD: No, man [laughs]. When I first started streaming on Twitch, I really thought that if I’m going to play through [Detroit] multiple times and streaming is as exciting as it is–I just could tell from Twitter and Instagram that the buzz was building up around the game–it made good sense to start streaming on Twitch. But I never anticipated that it would never be to the point of this. We went to eight different countries in the last five months to meet with people in real life. Seeing a lot of people in one place on the internet is one thing, but seeing that many people in real life and getting to meet people that are like, “Hey, my Twitch handle is this and I’m on your stream every Sunday!”, to be like, “Oh my gosh, I’ve known you for months but now I get to actually meet you in real life,” that’s really cool. I have fallen in love with our Twitch community so much in a way that I could not have imagined, especially finding an internet community that is so incredibly positive and welcoming and supportive. I didn’t think that was possible, especially in this day and age, so it’s been giving me a tremendous amount of hope for our future. 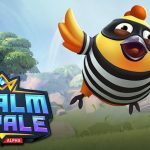 R: The community that you built has definitely seemed to be very positive and supporting, which is incredible given that streaming online in games can be a bit of a toxic place. Has it been difficult at all to preserve that sense of positivity among your fans and the community that you’ve been streaming with? BD: You know, what’s crazy is that I think it’s just easier to be nice [laughs]. People are just happier being positive and being their best selves, so I wouldn’t really say that we’ve had to “defend” that at all, or really “preserve” it as much as just continuing to be thankful and grateful for it, and to be out loud about it. But the positivity thing; we maybe just planted the seed and encourage it. Every now and then, we see people will write a message about how they’re so grateful to come on the stream because they’re having a bad day: it gives them a chill, relaxed, inclusive place to hang out. They’ll want to thank us for doing that, and we always want to try and make it a point that they know that Amelia and I are two people of now 263,000 people on Twitch alone. So that’s 262,000 and something other people that are out there continually sharing their excitement for games, sharing their excitement for art and creativity, and just being nice to each other. Before we can even reply to that message, there’s a bunch of other people chiming in and saying “Oh it’s so cool that you joined us for your first stream,” or “don’t worry, things will get better, I had a bad day too once”: and that’s really all it is. The community aspect of it is so strong. ARB: I think also there’s a level of honesty because sometimes you’re not feeling like your best self and to be able to say “I’m feeling down today,” and then have everyone come and say “It’s okay” and sending you funny little animal GIFs, but also be open about and embracing our emotions, is great. R: I know you’ve been playing Life is Strange recently. What have been some of the other games you’ve been playing in your streams lately? BD: So, I’ve been playing God of War…to varying degrees of success [laughs]. The community has been very patient with my puzzle solving and axe throwing. ARB: Red Dead Redemption 2. BD: Yeah, we just started Red Dead Redemption at the top of the year. I played some NPC characters in that game, so we’re gonna go lasso them. BD: Throw them off a cliff [laughs]. We’ve also been doing these “chill streams” where we pretty much turn on Crash Bandicoot and some chill music. Those streams are nice because when we do these big story games, the big weekend things, sometimes the stream chat is moving so fast that we can only read every fifth message in the stream chat. But when we do these “chiller” streams, we kind of (by design) keep them at around 400-800 people instead of thousands of people so that we can feel like we’re actually really having a conversation, and then that has evolved into these “curiosity chill” streams. I’m just a curious person: I like reading non-fiction, I like studying, I just want to be researching stuff. I did a lot of research on robotics and AI and computer technology in developing Connor that I thought if people were this excited about Connor and robotics and artificial intelligence, maybe we can continue the conversation about that kind of stuff that’s not directly based in a game. So what we’ve been doing is just streams where I’ll start off with a poll and be like, “what chapter of this book are we going to read?” It’s the internet, so you gotta be flexible: we started from Egyptian mythology and I was mispronouncing the name of the goddess “Nwt”–but I was saying it was “Nut”–and then before long we were researching pistachios. ARB: But the cool thing about that is that we’re all learning together. It feels kinda like being in class, but like “the ultimate class.” You’re paying attention but you’re also having a lot of fun. I didn’t know what peoples’ reactions to that would be, but they’re all down. ARB: And then we’ll do something fun! BD: Basically, we’re really curious for what kind of games that the community is playing. The community recommended Life is Strange. I’m personally waiting for a release date on The Last of Us Part II to decide when to play The Last of Us again on stream, but that’s a hugely-requested one. R: Obviously we have a lot of big games coming out around the corner. What are you looking forward to playing on stream this year? BD: Death Stranding…maybe? Do you think it’s coming out this year? Maybe that better not be my answer then. I mean, I’m fascinated by what’s going on there. A game that came out last year, the Shadow of the Colossus remake, that game I’d like to stream. 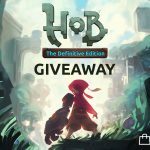 BD: We’re really fascinated, and I think our community is too, in the branching narrative, single-player games where you’re determining the fate of the characters. 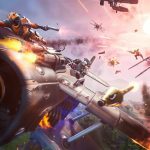 I’ve streamed some Fortnite and played Overwatch with my friend Carolina Ravassa–who plays Sombra–and we tried to learn to play Overwatch together. It’s a big goal of mine to have more and more video game actors come join us on the stream. Troy Baker joined us for Tales from the Borderlands, which we played through, and he came for the finale episode of that. We’re never gonna be beating Ninja at anything, we’re never gonna be super competitive in Call of Duty. But I think there’s also cooperative story games like A Way Out that would be fun for us to play. R: You mentioned before that you’re about to start your next playthrough of Detroit together. Is it weird to play a game where you star in it? I just wondered if it’s a weird feeling to see yourself on the screen like that. ARB: I feel desensitized a little bit to it. At first it was really strange. The first time you watch yourself in anything is really disorienting because you’re seeing you in the past, and it’s just trippy. But I think that at this point it doesn’t feel as weird. BD: And for me really, when I saw the first E3 trailer with Connor–the hostage negotiation on the rooftop–that blew my mind because the likeness was there. We filmed the entire game in the same big grey warehouse room, so to see them actually take all that–there’s gonna be a helicopter there, there’s a pool with a dead cop there, the hostage is there–and then have it all really built in this incredibly immersive way was fascinating. It’s been fun also jumping in every now and then–especially when the game first came out, I was doing it all the time–going on Twitch and watching other peoples’ playthrough of Detroit. For me, it’s more fun to see how people respond while playing to certain scenes because some things I did not think about. R: Can you tell me a little more about the #ConnorArmy and what it’s been like engaging with fans from around the world? What has been your favorite part of interacting with fans like that? BD: Pretty much everything we’re doing is we’re trying to make it more about listening to the community. I was like “what do you guys wanna call yourselves?” We put up a poll, there was a very short time where they were calling themselves “Detroids”–which I thought was very clever–but then the “#ConnorArmy” thing kind of rose up. We just try to be loose with it and rolling with what people get most excited about. To be in a big game like this and to have people emotionally connected with a character is something. I get a lot of messages about people that are going through things in their own life and then playing the game overlapped with a turning point in their thinking or their point-of-view radically changing about something, or they found a community through playing the game online, or watching the game online even. When we get those kind of messages, they sort of want to give us credit for something: we keep trying to turn it around and say “this is on you guys” – if you played this game and found some strength, compassion, or comfort, that’s stemming out of you and coming from you as an individual person. I think that that’s something that the community really responds to among themselves, because they’re starting to take an agency for that. LIVE NOW with our special #FanArtFriday stream on Twitch.tv/BryanDechart! (Link in bio) and we’re excited to share the RUSSIAN CONNOR from #DetroitBecomeHuman @peterkovrizhnykh will be joining us for our #GoDeviant Russia Stream on Jan 5th at 10a/PST – 9p (17:00) Moscow Time. See you then! ARB: And then also getting to meet so many people in real life has been really amazing. We’ve been to countries that I never imagined that we’d get to travel to. ARB: The really cool thing is that even in the different countries speaking different languages from wildly different backgrounds, there is something that’s similar about all of them. They all come with open hearts and are just really touched and wanting to connect, wanting to connect with each other. It’s like this joining of hands: we want to say it’s okay to feel and we shouldn’t be ashamed of that, and I think that has really inspired me because it’s universal. BD: And this notion that “we are all one” kind of thing…it’s easy to say, but when you’re actually flying from this country to this country, it’s different; Thailand and Moscow have very little in common, Switzerland and China are totally different places. But when we’re meeting these people, besides learning what their first language is, this connection of just being an empathetic, soft-hearted human; we’ve learned that there are kind, soft-hearted people in every country. 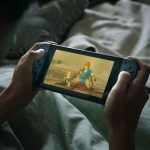 What’s been really cool for us is just to have that experience and encourage people to take that excitement that they have for us, because they perceive us like “oh, these are actors from this video game, so we should focus on them right now and give them our positive attention.” What we’ve been finding really a lot of positive energy with is encouraging them to redirect that: go find other people in your community and share that positivity with them. If you have all this excitement and passion for something, use it for making something. Join us LIVE in 1 Hour for our #FanArtFriday Celebration!! BD: Yeah, we encourage people to “go deviant.” This started with our honeymoon because we got married just after the game came out. We shared some of our honeymoon adventures, we got to go do some unusual things, and we know a lot of people (especially that play a lot of games) who we’ve found for ourselves going outside of their comfort zones. But in the time that we started streaming, I was spending so much time either on my phone on social media or on the computer streaming or just staring at playing a video game on my own, and I was like “what about the sun, what about outside?” So we’re trying to include as part of our stream for people to go outside of their comfort zone, whether that is just in little ways, like going on a trip or going on a zipline. ARB: Or go call up your friend you haven’t seen in months and go on an adventure together. It’s been cool; people have been tagging us in their “#GoDeviant” adventures and that’s really exciting. R: Obviously you both have done a lot with your Twitch channel and the audience you’ve grown over the past year. What are you hoping to accomplish this year with your Twitch channel? BD: I think as long as we keep following the lead of what the community wants to do, I think it’s gonna be really fascinating. ARB: We definitely want to continue to collaborate with friends and voice actors. BD: We want to bring in more voice actors, like our friend Ella Lentini who’s in Until Dawn, our friend Abubakar Salim who’s Bayek in Assassin’s Creed Origins; he’s been a gamer too for a long time. 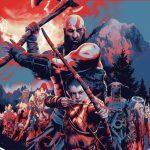 So, I’m trying to encourage more video game actors to use the platform to connect with gamers because it’s such a passionate community. That’s what we’re really fascinated with is the interactivity of Twitch and how the technology is being used going forward. We have a project that we’re planning for the summer that I don’t want to talk too much about just yet, but we’re using “Dechart Games” kind of going forward now that we’re married and that we share a last name. But we want to get into augmented reality gaming, we want to get into more interactive storytelling, and we’re gonna continue probably doing mostly narrative, choose-your-own-adventure type games, open-world RPG games like Red Dead or The Witcher. I haven’t played The Witcher 3 yet and everybody’s telling me to play that. R: So as you said, we’re nearing one year since Detroit: Become Human came out. What has been your reaction to the response to the game from fans, from critics, from everyone that’s played it since it came out last year? BD: The support that Amelia and I have seen from the players of Detroit: Become Human has been overwhelmingly positive. I’m amazed and surprised by all the creativity of everybody’s own interpretations of not only the story, but also the characters. One of the things that’s really been cool for us is that I’ll see fan art of Connor where it’s from Russia, from Brazil, or from China, and Connor is a completely different character in their drawings and in their paintings. The sort of “expanded universe” around the game is something I didn’t anticipate. and join us for your chance to WIN an autographed Fan-Made Postcard! ARB: Yeah, and a lot of fan fiction. BD: A lot of fan fiction. I mean, obviously the game’s not gonna be for everybody: there are plenty of people that are categorically not interested in a single-player narrative game. I think really with Quantic Dream, they’ve been up on this riddle for a long time of “how can we branch this narrative.” Other companies and developers have done similar kinds of things, and what I really think Detroit succeeded in really having it be that the player is making choices in the moment. In the branching-est part of the story at the end, when all three characters could go any different number of ways, there’s so many permutations. What I’m really fascinated by about a year later are the people who played Detroit and thought “Whoa: this thing can really branch and change and evolve as much as a game has,” but then isn’t satisfied by that and wants to take it to the next level. Who is gonna come next? Who is going to go, “that’s how you can make a game where you not only have just a left or a right, but also an up and a down, and a forward and a back.” But now that there’s a framework for that, who’s gonna bust that out of its shape, especially as the internet merges with television. You can catch Bryan and Amelia every week over on their Twitch channel, along with a schedule of their upcoming streams, including their upcoming stream to get the Platinum Trophy in Detroit: Become Human on February 16. You can also follow Bryan and Amelia on Twitter for their latest stream updates and meetups with the rest of the #ConnorArmy. 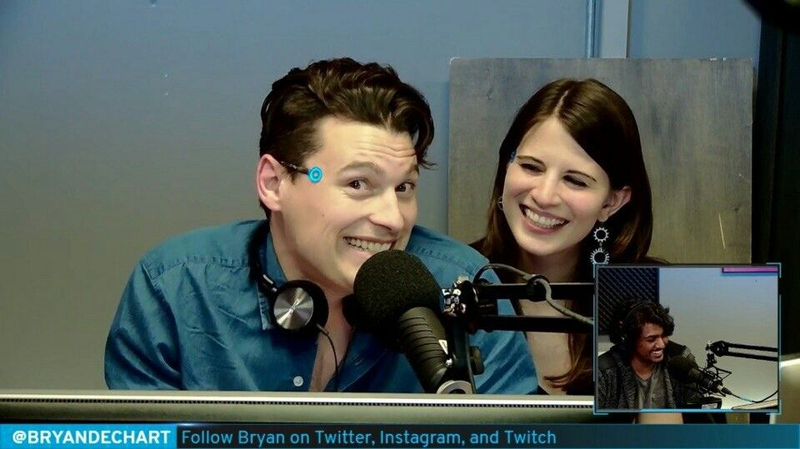 The post Bryan Dechart and Amelia Rose Blaire Interview — From Detroit: Become Human to Streaming With the #ConnorArmy on Twitch by Ryan Meitzler appeared first on DualShockers.